Our parents were busy on campus last week! We kicked off the week with a coffee and sweet treat cart being wheeled around the building. Our teachers and staff work hard every day to make the best experience for our students. This little token of appreciation goes a long way in thanking them for what they do. KMAG parents had the opportunity to hear from Academy and Magnet Social Studies teachers about their recent Professional Development experience in Washington, D.C. This would not have been possible without financial support from both KMAG and PTA. Also, thanks to a parent volunteer, you will see a slightly beefed up Hornet Herald moving forward since all morning announcements from the previous week will be included. I've heard some feedback and know that some students miss pieces from the morning announcements. We're working on making adjustments to get even more info home and this will be a huge help! Looking ahead on the calendar, you'll see an altered bell schedule during the week of January 23 for benchmark testing. Your students may come home talking about this as well. The benchmark assessments are designed to give us feedback and another piece of information to guide our instruction for the rest of the school year. We will be asking students to do their absolute best on the benchmarks but please help them stay calm. There is also no need for students to spend time studying or preparing for these assessments. I hope to see you all this weekend for the MLK Day of Service. If you are not able to get your hands dirty with us this Saturday, you can still drop by to check out Guys and Dolls, Kealing's school musical. I heard today's dress rehearsal was top-notch, which is no surprise based on what I saw in last year's musical, Oklahoma! The upcoming weekend is sure to present some highlights of the 2016-2017 school year. Don't miss out! We Want Your Print Dictionaries!! In the age of the online and electronic dictionary, we still find that we can never have too many print dictionaries and thesauruses in schools. If you have a print dictionary or thesaurus that is in good condition that you would like to part with, please drop it off in the Kealing Program Office. This week is the Kealing School Mathcounts competition! EVERYONE can participate - No experience required. To try for one of the spots on our official team, come to Room 203 after school on Tuesday (1/17) or Wednesday (1/18) to take the two individual rounds. You will be done at 4:30. Highest scorers will advance to the Chapter Competition on Saturday, Feb 4th. Contact Ms. Strickland if you have any questions. Any Kealing students who are interested are invited to participate in the annual BookSpring Read-A-Thon held between Jan. 23 – Feb. 05. Students ask for pledges from friends, neighbors, and family and money they collect from the time they spend reading helps get books in the hands of children in Austin. A $3 donation can provide a child with a book to take home. Registration and information can be found at http://readathon.bookspring.org or students can stop by and see Ms. Williams in the Library. 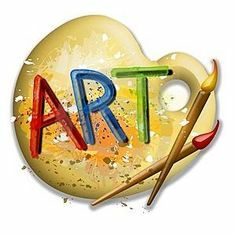 ART CLUB Thursday 3- 4:30 pm. RM 205. Stop by to pick up a form so you can join art club. LAST SEMESTER BEGINNING/INTERMEDIATE ART CLASSES . Please stop by and pick up any artwork or personal art supplies you may have left in classroom. As we continue to plan, shape and build our #AISDFuture, we need your input. Join us at the next series of community engagement conversations to share your feedback about the Facility Master Plan update and the options the committee would like the public to consider. The meetings dates are below. Information will be discussed by cluster, so Kealing Middle School is first up on January 24. Food and refreshments will be provided. Interpretation services will be available upon request. To request modifications or interpretation services, please call 512-414-9595 or email future@austinisd.org. Are you someone who loves to play Lacrosse? Are you someone who has never played Lacrosse, but might be interested? Come join us on Wednesday, January 18th at 6pm in the Kealing Library to get more information! This meeting is for both the boys' team and girls' team. We will start all together and then split into respective groups. Both players and parents are invited to attend. Can't make it? Send an email to kelly.morledge@austinisd.org for more information or visit the Kealing Lacrosse website at www.bit.ly/kmslacrosse . Hope to see you there! Kealing Middle School students will create dream flags, inspired by the Tibetan prayer/peace flag tradition, to line the hallways of our school. Each student will write their dream or wish for our community and world on a piece of cotton muslin. Their message will be glue to a larger piece of fabric that will be strung and displayed in lines together from our ceiling hallways. The ‘dream flags’ will serve a visual reminder of our individual and collective dreams as a Kealing community. Please contact Jenna Martin at jenna.martin@austinisd.org if you have any questions or want information about how to participate. Chess club will meet this Wednesday January 4th in room 512 after school until 4:00. All grades and abilities are welcome! Kealing chess club will register and pay the entry fee for Kealing students who would like to participate in the scholastic chess tournament at Casis Elementary on Saturday, January 28th. If you would like to play in the tournament and represent Kealing, please see Mrs. Girardeau in room 512 this week. For more information, please contact Ms.DJ Cardamone at cardamone.dj@gmail.com or Ms. Girardeau at denise.girardeau@austinisd.org. The PTA has posted an updated list of Membership Meetings, Principal Coffees, and other events scheduled for the spring. Go to www.kealingpta.org for the full schedule. The next meeting is scheduled for February 2, 7:30am. Join us in the library then for a presentation and discussion with Principal Coburn on new TEA Accountability and Rating System. Mark your calendars for the MLK Day of Service January 21, 2017 noon-4pm in the KMS cafeteria and grounds. The Kealing PTA is teaming up with Huston Tillotson and Blackshear Elementary for a free peace through pie social lunch and grounds day/neighborhood clean-up. If you plan to attend, please sign up in advance by clicking here. Kealing Community: Kealing Men is looking for volunteers to present at a career path discussion for middle and high school students on Saturday, February 11th from 10am-12pm, in the Kealing Cafeteria. The organizers are looking for entrepreneurs, firefighters, lawyers, teachers, professionals, computer scientists, and more to come and share their career path experiences. For more information and to volunteer, email Richard Barner at Richard_Barner@dell.com Thanks! It's not too late to join the Kealing PTA for the 2016-17 school year. Help support the education and success of all children at Kealing. A fantastic value at $10/person or $19 per family, and we also offer scholarships. Help us reach our goal of 100% parent membership this year! Sign up at www.kealingpta.org. From 1/30/17 - 2/28/17 prospective Kealing students will shadow current students to learn about the magnet program. Parents are needed in the mornings from 6:55 - 7:45 and afternoons from 2:15 - 3:00 to help greet, check in and check out shadowing students. You can sign up once or several times to do this quick and easy, but important job. SignUpGenius does not share your email address with anyone. If you prefer not to use your email address, please contact Amy Cox at amyo69@hotmail.com. Thank you!